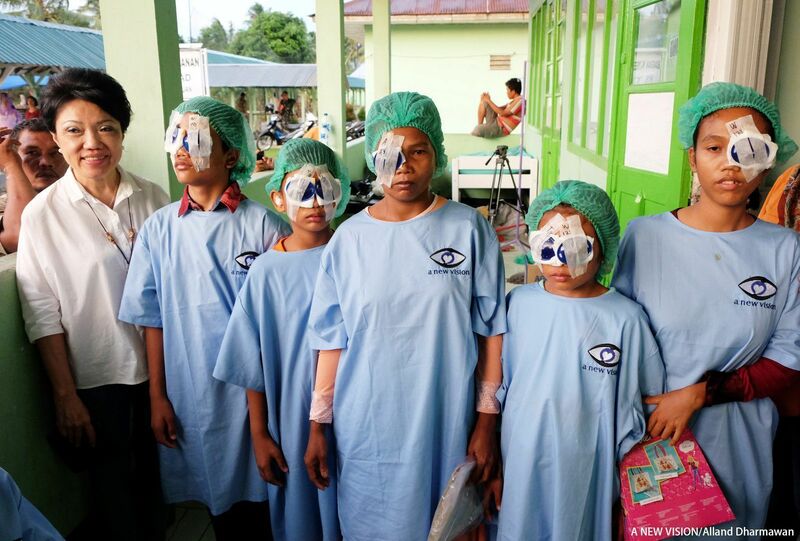 Mum (43 year old Mariamah), Dad, four children (Sopiahrini 21, Ilham 14, Iman 13, Ana Mufidah 11) and one grandchild (19 months old) all suffered from cataract blindness. Mum and dad are farmers from Simangambat, Tapanuli. 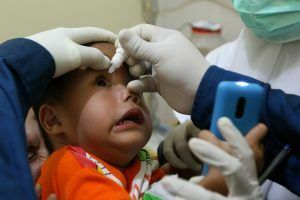 All of their four children were diagnosed with cataracts when they were just 3 years old toddlers. Five years ago cataracts also took away mum’s sight. Mariamah, Sopriahrini, Ilham, Iman and Ana were all operated in our Sidempuan camp in 2016. Before their surgeries, Ilham, Iman and Ana had to sit next to the blackboard in the class, now they can sit with their peers and their studies have improved tremendously. I want to be an eye doctor because I want to help blind people and eye surgery is not painful. Mariamah is very keen to bring her husband and grandchild to our next eye surgery event.